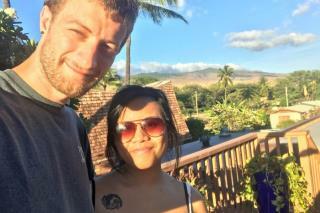 (Newser) – A newlywed on his honeymoon in Hawaii was found dead at the tragic end of a 4-day search that began after he failed to return from a hiking trail. Per WUSA, Stephen Kramar of Gaithersburg, Maryland was at the Wavecrest Resort in Kaunakakai, Molokai when he told his new wife he was going to check out a trail the morning of Sept. 17 before she joined him in order to ensure it was safe. The 27-year-old texted that he was on his way back that afternoon but never returned. How much was the guy worth? "he told his new wife he was going to check out a trail the morning of Sept. 17 before she joined him in order to ensure it was safe." Huh? So if she joined him, why was a search necessary?